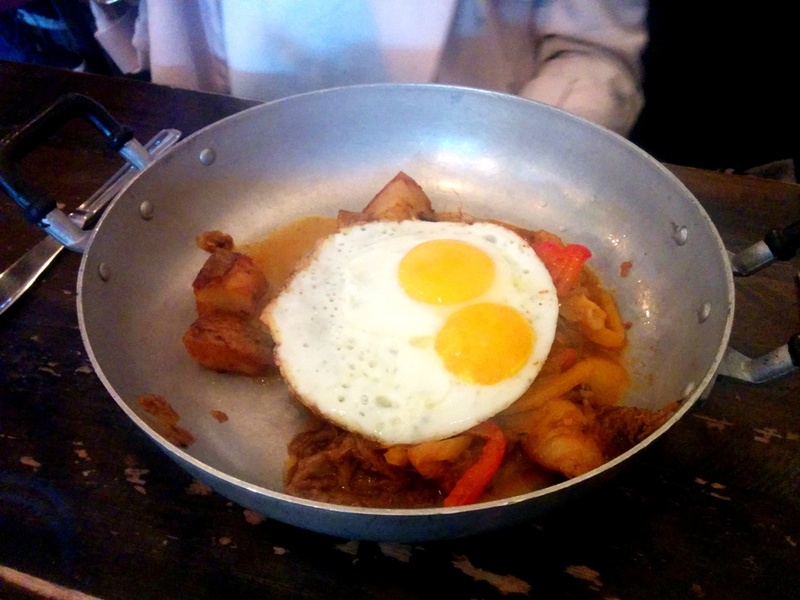 This was the Lamb Shank’n Hash with with sauteed red onions, peppers, potatoes and two sunny side up eggs on top. The dish arrived in a large pan and pretty much any braised meat is good! I only had a small bite of this. 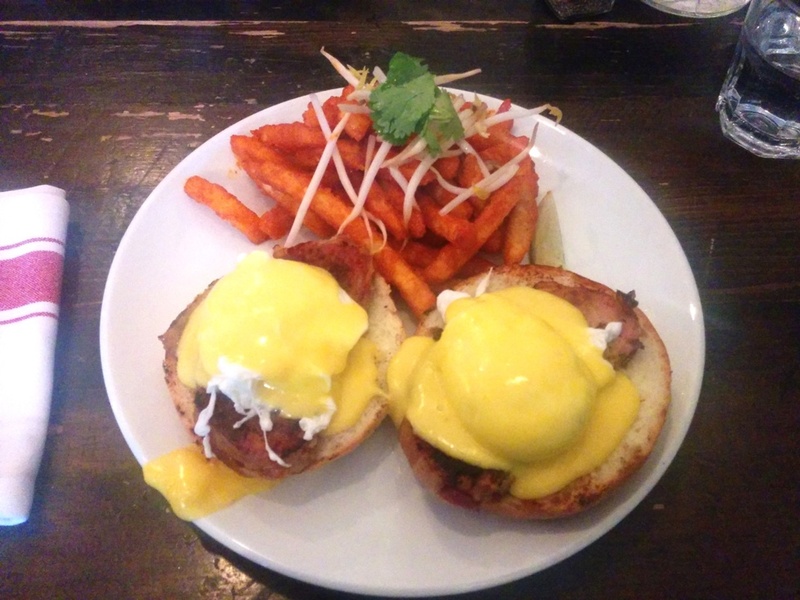 Two of us ordered the Bacon Explosion Benedict which comes with your choice of Pad Thai Fries, Dijon and duck fat home fries or salad. I swear things with cool names always get me (e.g. nail polishes)! How can I resist something called the Bacon Explosion Benedict? So it turned out that there wasn’t that much bacon on it and the bacon is actually used to wrap around a thin beef patty which sits on top of a brioche bun instead of an English muffin. It was like having a burger and eggs benny at the same time! Since they used a brioche bun, this was a super filling meal and I didn’t eat the other half of the bun. The Pad Thai Fries are essentially fries tossed in something like a spicy buffalo BBQ sauce and topped with a few bean sprouts for decoration. The sauce coating the fries did make them soggy but I ate them anyway! Maybe they should give the sauce to you to mix with the fries on your own? ← The Union-Bao Bun Bennies!